April 15, 2013. Before the Boston Marathon was over, few people cared who won or lost. Patriots Day, a day of festivities to celebrate the American Revolution, was about to become the latest nightmare in America’s ongoing war on terrorism. 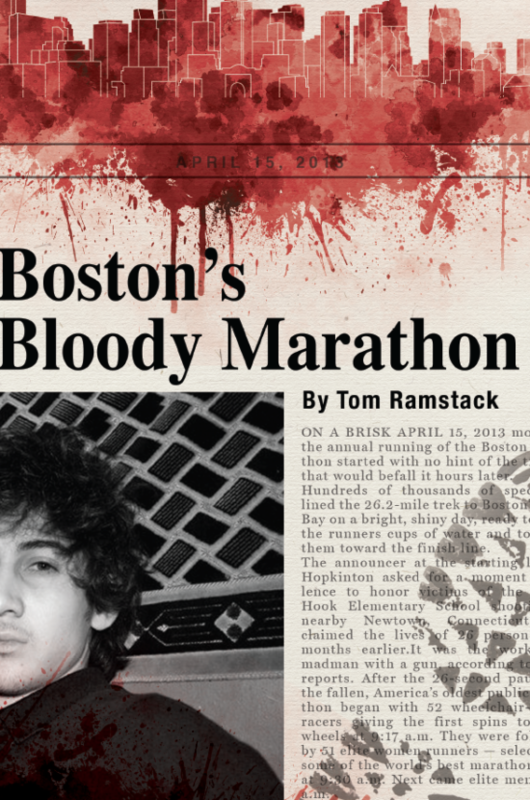 Although this book focuses on the bombings at the Boston Marathon, the victims and the prosecution of the prime suspect, it is equally about “lone wolf” terrorists. Lone wolves refer to terrorists who plot their attacks alone, usually with no organization to support them and no official links to violent groups. There is almost no way to know their next target until they strike. U.S. intelligence agencies call them perhaps the biggest terrorist threat to the United States and its allies.